Through focused and challenging discussions, this two-day conference will address the most pressing issues relevant to the apparel industry. It will equip participants with the best-practice and know-how relating to the biggest opportunities and challenges in transforming apparel supply chains. Better factory engagement: How can brands and factories work together more effectively for improved performance, energy efficiencies, and cost-savings? Click here for more information about the program, speakers, event information, and registration. 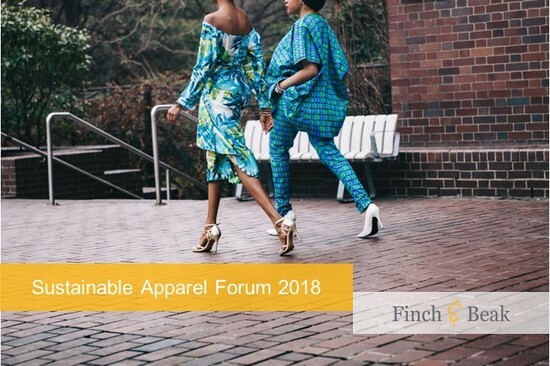 Our consultant Camille Simm will be attending the event and is interested in hearing your story on sustainability in the apparel sector. Please feel free to contact Camille at camille@finchandbeak.com to make an appointment and meet each other in Amsterdam.